More and more electric vehicles are hitting the market, and Hyundai is launching of the most anticipated models of them all. 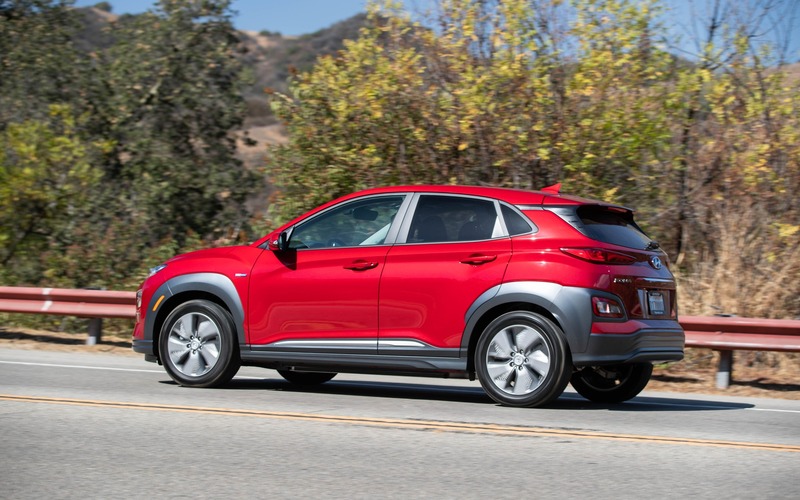 The 2019 Hyundai Kona Electric, as its name indicates, is a fully electric version of the subcompact Kona SUV. Hyundai is promising a driving range of up to 415 kilometres, and the vehicle will start at $45,599 before freight and delivery charges. At that price, the Kona Electric will likely be very popular in Quebec and in British Columbia, where the model will be eligible for a green-vehicle incentive—up to $8,000 in Quebec, up to $5,000 (before taxes) in B.C. The Kona EV’s 150-kW powertrain is fed by a 64-kWh battery pack. That means an output of 201 horsepower and 290 pound-feet of torque. The automaker says the vehicle can be fully charged in 9 hours and 35 minutes using a level 2 station and 75 minutes with a 400V station. Only a front-wheel drivetrain is available for the moment. For the first time in Canada, Hyundai is showing off its Le Fil Rouge concept at the Montreal International Auto Show. Yep—a French name for a Korean car! 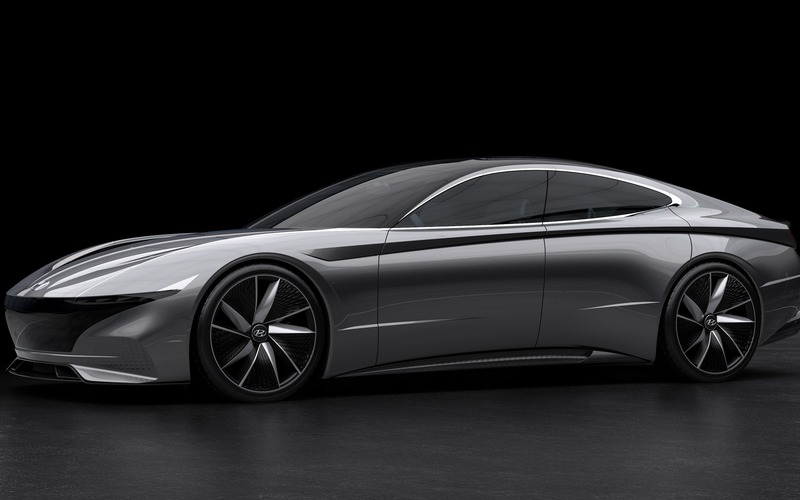 Initially unveiled in March 2018 at the prestigious Geneva Auto Show, the Le Fil Rouge concept is a modern reinterpretation of the Coupe Concept, a prototype developed by Hyundai in 1974 that allowed the company to gain worldwide recognition. The Le Fil Rouge concept is a seductively styled sedan that relies on aerodynamics and a very long wheelbase to boast a resolutely futuristic design. Inside, Hyundai presents a basic cockpit integrating four seats, and that is just as spectacularly designed as the car’s body. No details have been announced regarding its powertrain. 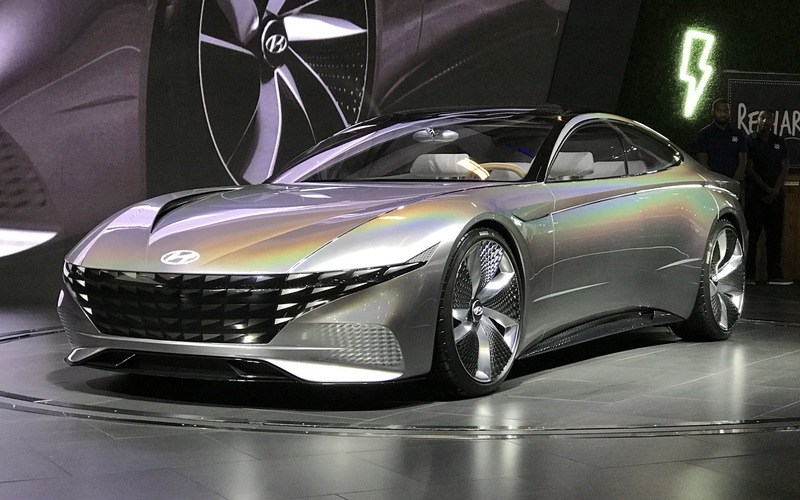 We seem to be very far away from a production version, but the Le Fil Rouge concept gives us a good idea of where Hyundai’s designers are going in the next years. Visitors of the Montreal Auto Show can admire this beautiful concept at the Palais des congrès, from January 18 to 27.